After the MA410P and MA610P, today we are testing the Cooler MasterAir MA620P, a dual-tower cooler with 6 heatpipes and equipped with 2x 120mm fans! In the following Cooler MasterAir test, there is also the new 360 degree view, a new video and yet another video with all RGB effects in our OCinside YouTube channel. 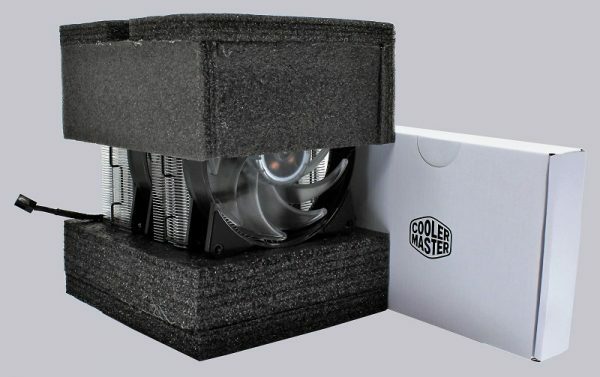 The Cooler Master MA620P has at review date a price of about 100 Euro (04/2018). 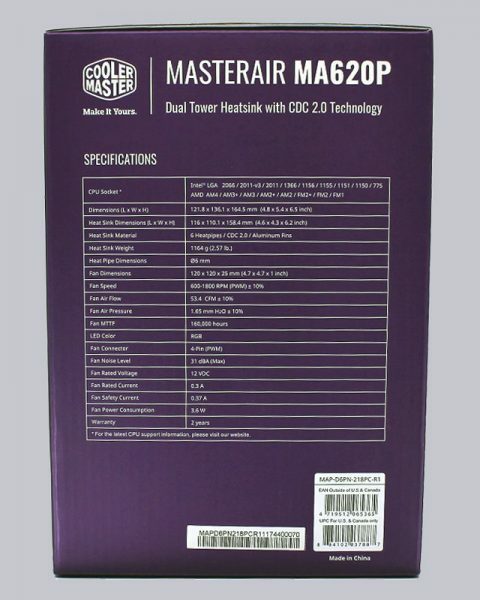 Here you can buy the Cooler Master MA620P at a reasonable price. Cooler Master stays true to its packaging design with the MasterAir MA620P and presents the cooler in a wrapper printed with bold colors. 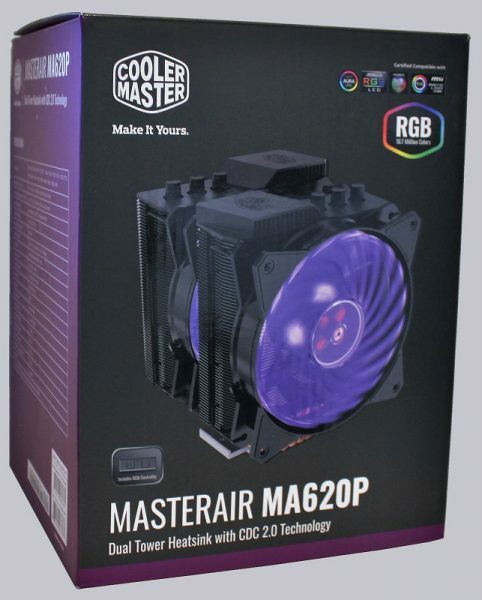 On the front we find, as always with Cooler Master RGB products, the RGB logos of the relevant mainboard manufacturers: ASRock RGB LED, Asus Aura Sync, Gigabyte RGB Fusion and MSI Mystic Light Sync. Also, the reference to the RGB controller is available again this time. 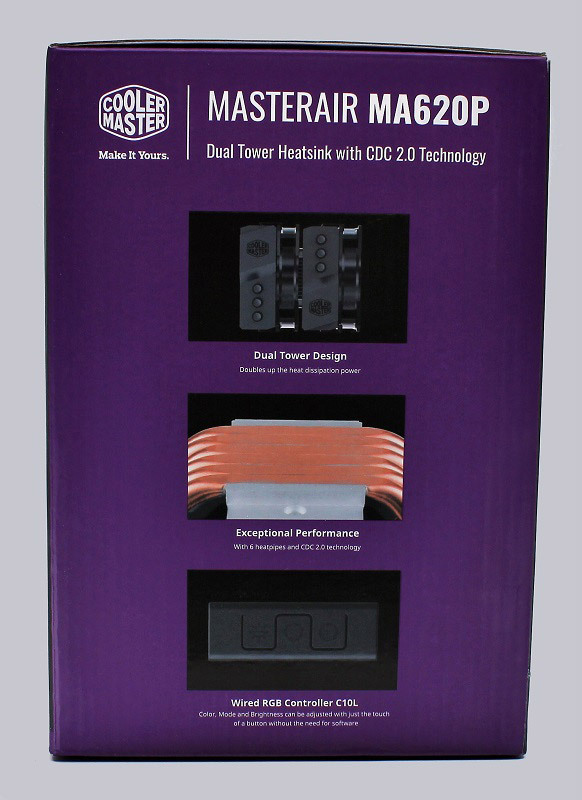 The side of the box shows the highlights of the MA620P: The dual-tower design, the 6 heatpipes and their CDC 2.0 (Continuous Direct Contact) processing as well as the enclosed RGB controller. On the other side, we see exemplary all important technical data. 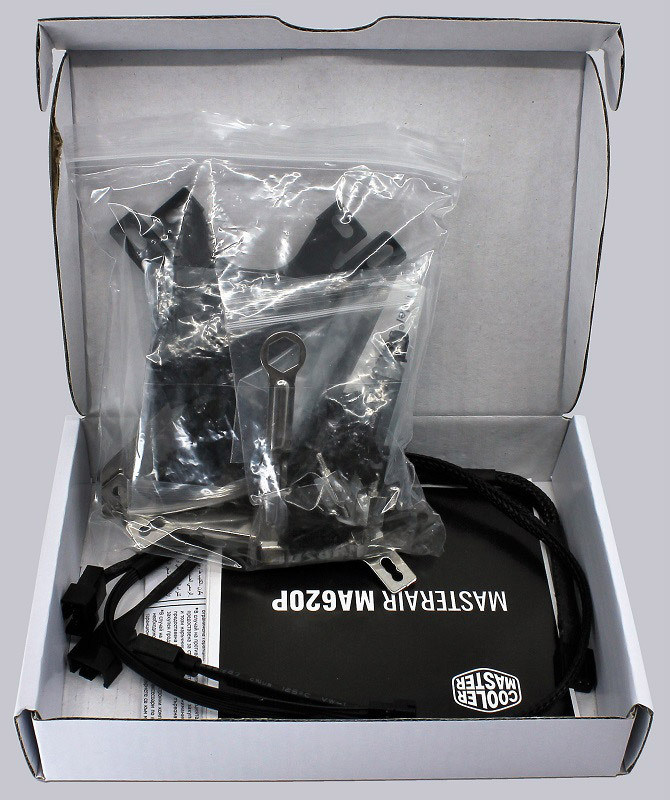 The actual cooler is securely packed in a polystyrene shuttering. We also find another smaller white box in it. In this is the extensive mounting material, thermal grease, a Y cable for 4-pin PWM fan connectors, another Y cable for the RGB connectors and the RGB controller.